Carpal tunnel syndrome is a condition that causes pain and numbness in the hand, affecting your ability to use it. 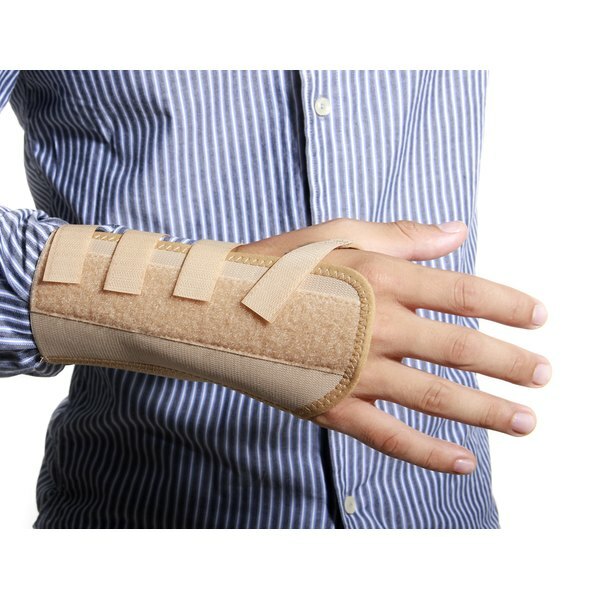 Surgery to treat carpal tunnel is generally indicated if the condition has persisted for at least 6 months and has limited your ability to function at work or in your activities of daily living. Surgery boasts excellent long-term success rates with low complication rates. A full recovery from carpal tunnel surgery can take months. Open release surgery can take longer to recover from than endoscopic surgery. Open release surgery requires an incision in the wrist and the cutting of the carpal ligament to enlarge the carpal tunnel. Endoscopic surgery makes two incisions in the wrist and palm. A camera is then inserted while cuts to the carpal ligament are made. Endoscopic surgery minimizes scarring and tenderness. Surgery generally does not require you to stay overnight in the hospital and is done under local anesthesia. You may require prescription or over-the-counter pain medication and a splint at night or during various activities during the first 2 weeks after surgery. You may have to limit the amount you can lift to 11 pounds or less for 2 months after surgery as well. There are risks associated with carpal tunnel surgery, like any other surgery. Aside from general surgery risks, such as anesthesia risks, there is a slight risk of nerve damage or infection. Nerve damage can cause paralysis of the hand. If the tendon is injured, it could result in weakness of the hand. Hand strength may not return to normal. Surgery may not be beneficial if another medical condition is causing or contributing to your symptoms, such as obesity, arthritis, diabetes or thyroid disease. You may not be able to fully function at your job for more than a month after the surgery. Surgery is more effective for long-term pain relief than nonsurgical treatments. According to the Mayo Clinic, even if some symptoms still remain following surgery, they tend to be less severe than those persisting or recurring after other types of therapies. In many cases the pain, tingling and numbness go away immediately following surgery. Physical therapy will most likely be required after surgery to restore strength in the wrist. You may have to make adjustments to your job duties or even change professions. If you suffer from carpal tunnel syndrome in both hands, your surgeon may operate on both hands at the same time. This will reduce the amount of time you will need to take off from work as well as treatment costs, as you are in the operating room one time instead of two. You will most likely need assistance with your activities of daily living for at least the first 2 weeks after surgery. Angie Briggs has been a health and fitness writer since 2006. Her articles have been published on eHow, LIVESTRONG.COM and GardenGuides. She graduated from Thompson Institute with a diploma as a computer support specialist and received certification from CareerStep as a medical transcriptionist and medical language specialist.